I remember the first time I came across a video about makeup brush cleaning and thinking to myself, "wait a minute, why didn't it cross my mind to wash mine sooner?" Yikes! 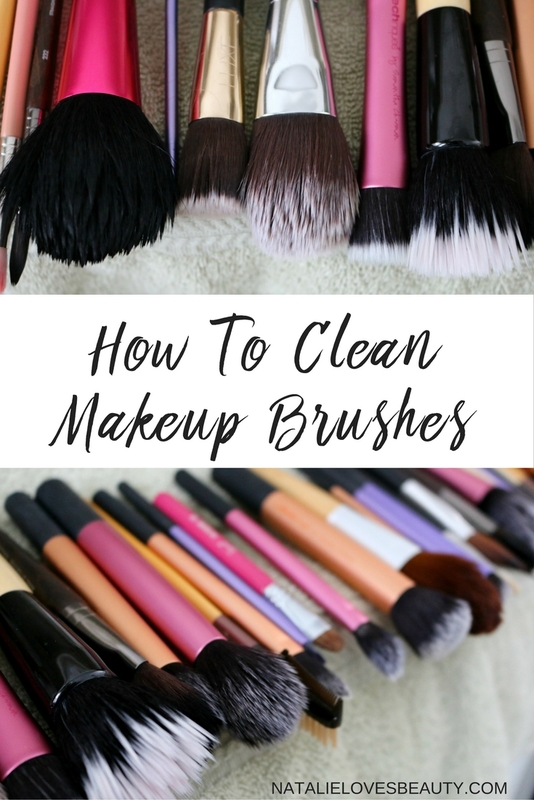 Whether you stick to the minimum and own just a handful of brushes that easily fit in your makeup bag, or have a lot of them taking over your office space like I do, makeup brush cleaning should be a part of your weekly routine. 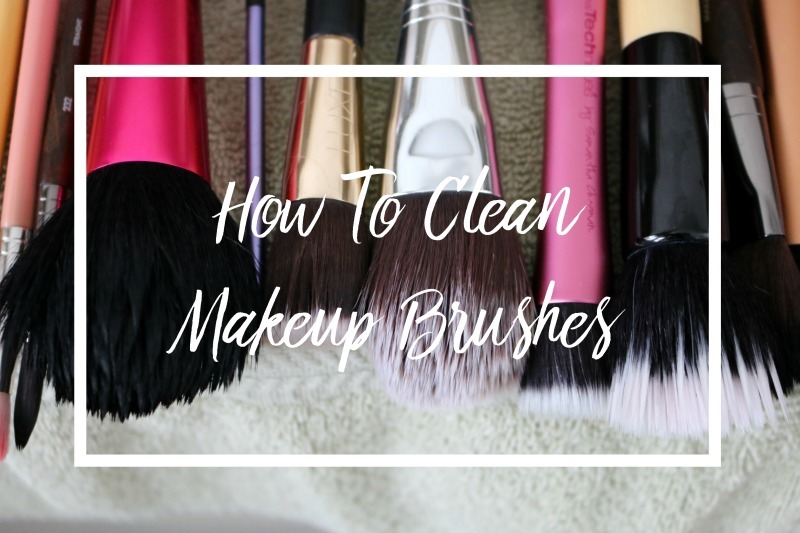 There are many different ways to go about washing your makeup brushes, most of which I've tried and tested over the years, but I'll be sharing and demonstrating what in my opinion are the two most effective ways. Best part? These two methods are super budget-friendly, and will prolong the life of your brushes in the long run as they are super gentle and most importantly, antibacterial. The first way involves spot cleaning, a method I like to do between uses throughout the week. 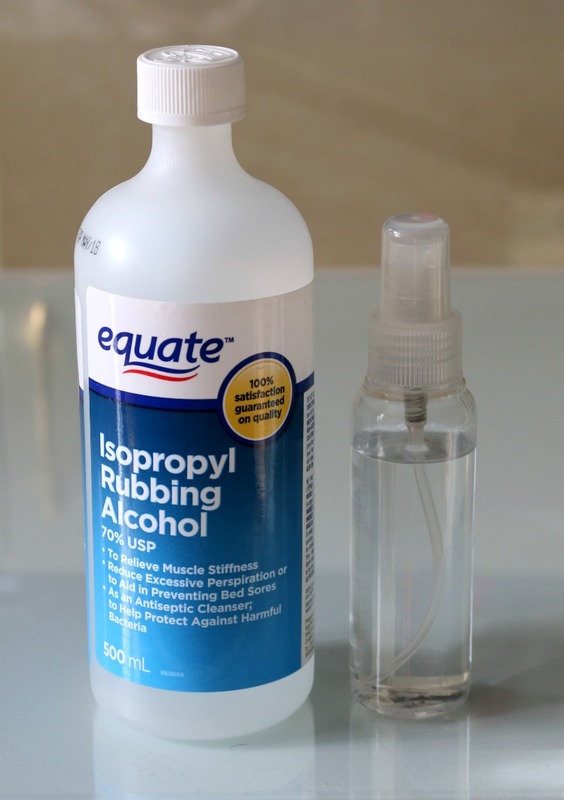 All you need is a bottle of rubbing alcohol (I get the 70% concentration), a mini spray bottle (look for one in the travel section at your local pharmacy) and a few paper towel sheets. Transfer the rubbing alcohol into your spray bottle (you can even dilute it with a bit of water if you like) and spray your folded paper towel sheet 2-3 times to get it sufficiently wet. Take your dirty brush and use circular or back and forth motions to remove most of the dirt and buildup from the surface of your brush. Again, you won't be able to get your brushes squeaky clean with this method, but it is a great way to sanitize your brushes when you don't have time to do this next method. Deep cleaning your brushes is something you should not neglect. Just think about how much makeup is trapped beneath the surface of those brush hairs, and if like me you keep your brushes out, add dust into the mix! I've found that the best way to deep clean my brushes is to stick to a natural dish soap - that's right - I've tried shampoo, conditioner, conventional dish soap, olive oil and the list goes on, but in my experience these just don't work as well. 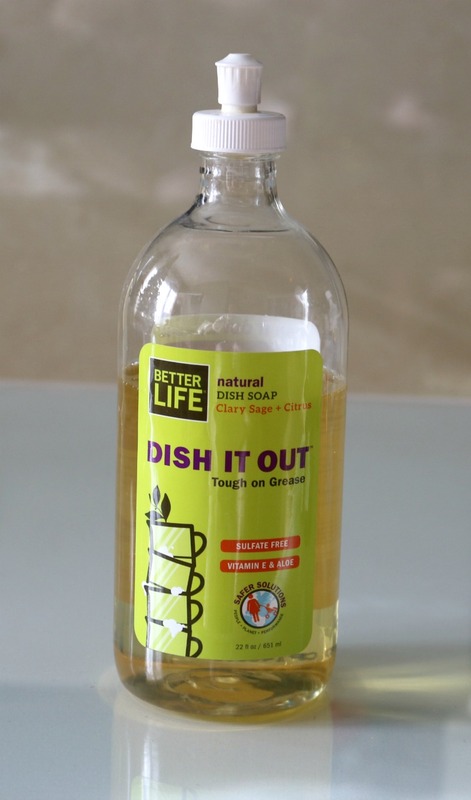 My favourite brand of natural dish soap is Better Life, and you can choose whether you want a scented or unscented one. Their soaps are plant-derived, non-toxic and environmentally friendly and work really, really well. As you see in the demo, deep cleaning is more time consuming, especially if you have many brushes to clean, but trust me - the time and patience is well worth it in the end. The key is not to let water seep into your brush's ferrule, or the piece of metal from which you typically see the brush hair stick out of, since that is where you will find the glue that holds the bristles together. I like to fold a large towel a few times and place it on the edge of my countertop, and lay my wet brushes flat to dry overnight, making sure the brush hairs stick out a bit so that they dry evenly and don't lose their shape. And there you have it, two super easy and affordable ways to get your brushes nice and clean! I have had these brushes in my collection for over three years, and as you can see they are still in mint condition despite me washing them on a regular basis. I've previously shared how I store and organize my makeup brushes, so I've you're curious to learn more, I invite you to head over to that post! Will you be trying these brush cleaning methods? *Disclaimer: Some affiliate links provided. Thank you for these tips,.. Taking good care of our make up brushes are really important to extend their shelf life, plus, I cant stand to have any bacteria/dirty things on my face too...Thanks for these great tips! 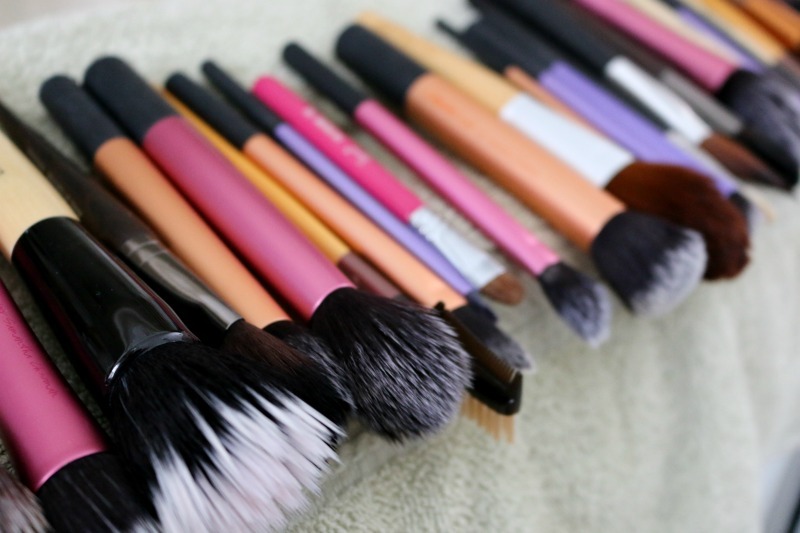 I don't use a lot of makeup or brushes but when I do these tips will definitely come in handy. Thank you! The alcohol is a great idea! I usually use shampoo, probably not the best idea, huh? haha.